You appear to have run Eset before and it is still installed. Try uninstalling it through Control Panel > Programs & features then try again. Well done getting that to run. The first infection is one that was quarantined but we’ll clear up the others. Note: If you have MalwareBytes Anti-Malware 1.6 or higher installed and are using the Pro version or trial version, please temporarily disable it for the duration of this fix as it may interfere with the successfully execution of the script below. Can you tell me how things are now. Since 3 of the 5 files are from my download folder, I thought it might be best to give you some background. Firstly, the 2 setup.exe files where from a download I did which have the dates dated back in April of this year. I cannot remember exactly what I was trying to download nor if I tried opening it. However, it could of been when I was trying to download Microsoft .net framework 4.5. Secondly, the last download file, doomdemo-setup, just happened recently. Nov. 14 to be exact. I downloaded this file thinking that it was downloading a demo game called Doom III. I did tried opening this file, but Windows said the file was broken. So what is my point, one I thought it would help you, and two, if for any reason you are skeptical of deleting these files, don't. Theses are infect files! C:\Users\BigPapa\AppData\Local\Microsoft\Windows\Temporary Internet Files\Low\SuggestedSites.dat moved successfully. C:\Users\BigPapa\AppData\Local\Microsoft\Windows\Temporary Internet Files\Content.IE5\TIWIEG0B\close.htm moved successfully. C:\Users\BigPapa\AppData\Local\Microsoft\Windows\Temporary Internet Files\Content.IE5\C8P80QYH\us_javadown_org.htm moved successfully. C:\Users\BigPapa\AppData\Local\Microsoft\Windows\Temporary Internet Files\Content.IE5\692D04DX\close.htm moved successfully. C:\Users\BigPapa\AppData\Local\Microsoft\Windows\Temporary Internet Files\Content.IE5\692D04DX\download-4n.htm moved successfully. C:\Users\BigPapa\AppData\Local\Microsoft\Windows\Temporary Internet Files\counters.dat moved successfully. You shouldn't trust any download sites unless you know that they are trustworthy. Do you have any remaining problems? to be honest, I am not sure. The scary part is that I wouldn't of suspect having any problems if we didn't do the ESET scan. Most of my issues I believe where resolved with the other cleaners we did. However, do you think that wraps things up? I just got back from spending the last couple of days over my father's house due to a death in the family. I am assuming that you have not replied back to my previous post because you are either waiting for me to reply back to you with a better answer on how my PC is behaving, or you are now away for the holidays. However, In either event, I need to let you know that I will be leaving again tomorrow night, and I will not be back to work on my PC until Sunday. So, I do not want you to think that I am ignoring you, I am just waiting for your response to see if I anymore assistance with cleaning my PC. If there is more worked needed to be done, and if there is away for this thread not to close, it might be better to finish up on Sunday. Otherwise, could you please let me know by tomorrow night? I'm so sorry to hear about your loss and family come first so no need to apologise. I sent a reply yesterday but am unsure why it was not "sent". I'll send it again and will wait until you are free to respond. It would appear that your computer is clean. The online scan was run to find any stragglers that our other scans haven’t found and quite often they are infected files/programs that would show no symptoms so you wouldn't have known they were there. Note the space between the X and the /, it needs to be there. 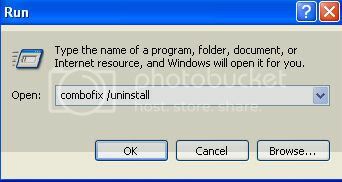 once it's finished uninstalling itself you will receive a message saying Combofix was uninstalled successfully. Norton 360 includes a firewall and you should not have Windows Firewall on when you have another firewall enabled. click Off (not recommended) , and then OK.
You have an old version on your computer which is vulnerable to infection. select Java 7 Update 21 (64-bit) then click Uninstall. I will wait for the time period you gave after which, if I don't hear from you I'll assume all is well and close the topic. Thank you for your condolence. I was actually able to come home earlier. However I have some bad news. After working on my PC, since earlier this morning, I've noticed some new issues with my PC. The first thing I noticed, scrolling web pages are very sluggish. Secondly, every time I click on a link, I get A Flash error stating that the Flash plug-in has caused an error exception. From experience, this seems almost like the same type of issue that I was having back in September. The only difference is, due to my PC was infected at the time, whenever I would click on a link, the link would redirect me to the malicious web page to download the false version of Flash. So what I'm thinking is, this Flash plug-in is just a "harmless" program that runs in the background which monitors when a user clicks on a link. It then runs the infected installed file that is on the user's PC, which then causes the user's browser to redirect the user to the malicious web site. Now however, since we have cleaned my PC, I think the plug-in is the culprit is, which is causing an error since it can't find the infected file, and none of the scanners that we had used does not see the plug-in as a threat. Because of this, I'd decided to uninstall Flash again. Afterwards, I continued looking through the rest of the list of programs that were installed on my PC. In my list, I found another odd program installed. The program file is called downloadVideo, and it was installed on July 1, 2012. After seeing this, I did not uninstall it, and I thought I should post an update to get your opinion on what we should do next. P.S. I also did not do uninstall any of the above tools that you have mentioned earlier, since I thought we might need to use them again. Edited by BnTheMan, 30 November 2013 - 01:05 PM. Good to hear you had a safe return. I’d like to see what is installed on your computer. click the Save List button. Just recently I have switched to using Windows 7’s speech recognition. Therefore, I have concluded that this to be the main cause for the choppiness when I try scrolling up or down web pages. Other than that, here is my HijackThis report that you have requested. Just recently I have switched to using Windows 7’s speech recognition. Therefore, I have concluded that this to be the main cause for the choppiness when I try scrolling up or down web pages. That's a possibility but it would appear that there is no more malware on your computer. VideoFileDownload is looked upon as Adware at worst and not malware as such, (Eset seemed to think it's OK). You can read more about it here and decide if you want to keep it or uninstall it. Unless you think there is still a problem, you can go ahead and follow the instructions to clean up. Again, I'll leave this open for 24 hours after which, if I haven't heard from you. I'll close the topic. Need Portable Data Recovery Software...Customized? Java 8 versions does not install on windows 7.